Lighted pictures of European Mikva'ot (ritual baths). Around the concept of mikweh and womanhood in Judaism. 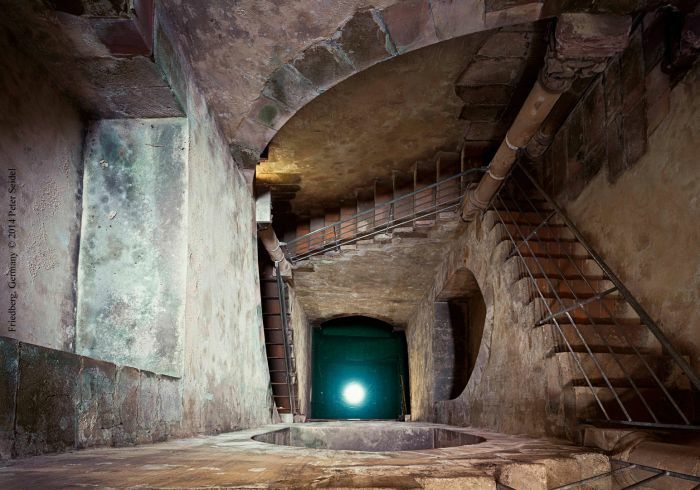 Its author is photographer Peter Seidel (Frankfurt), who shows the diversity of design and structures of some Jewish ritual baths of Europe, finding their most intimate and profound concept. Thereby, mikweh is presented as a real place where history becomes alive and palpable. Recent archaeological findings at the Girona Jewish quarter have uncovered the remains of fifteenth century mikweh. This space has been photographed by Josep M. Oliveras and it also forms part of the exhibition. The exhibition is complemented by texts about the relationship of Jewish women with mikveh today from various sources. Personal and often controversial testimonies bring us closer to the tradition of this ritual, and also to the manifestation of a new Jewish spirituality. Opening: Friday, April 11 at 7 pm at the temporary exhibition hall of the Museum of Jewish History (8, Força street, Girona).